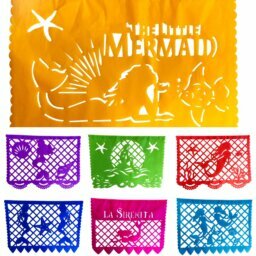 Artists from Puebla Were Inspired by The Little Mermaid an La Sirena from La Loteria and Created a Rainbow Row of Images! 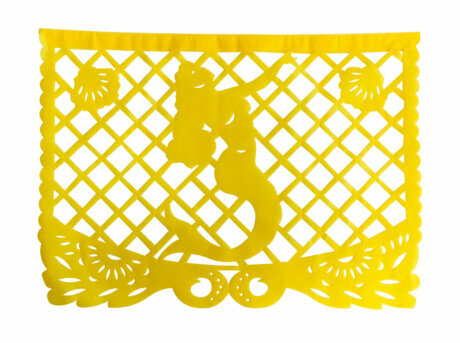 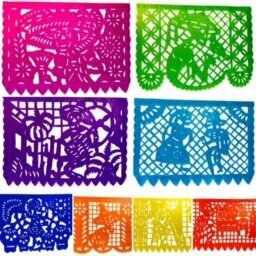 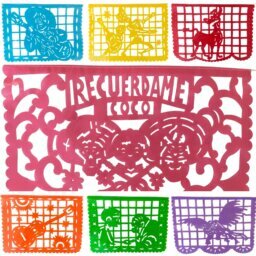 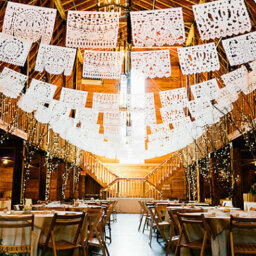 Handmade Punched Paper Flags or Papel Picado Banderas in Every Color of the Rainbow! Made out of tissue paper, each flag depicts scenes from life Under the Sea: Little Mermaids, shellfish friends, sea lions, shipwrecks, sunshine and moonshine! Each Strand Hangs 16 feet Long – Each flag is 13.5″ tall and 17″ wide and 20 are included. 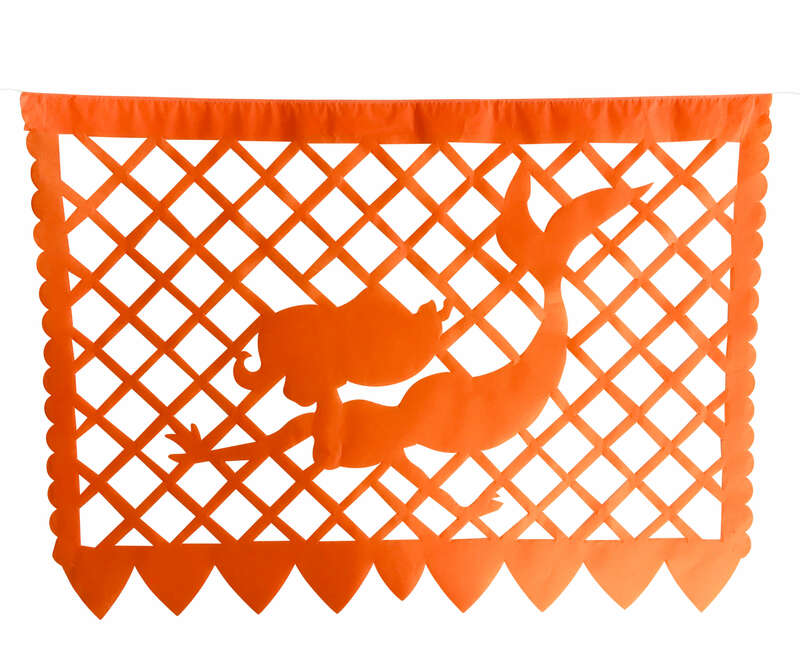 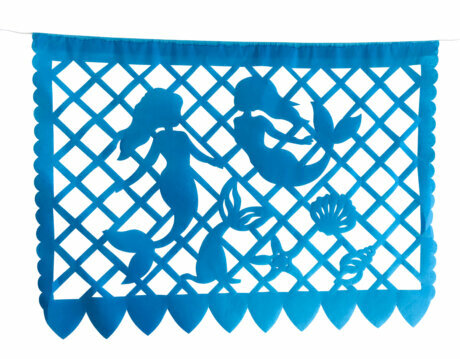 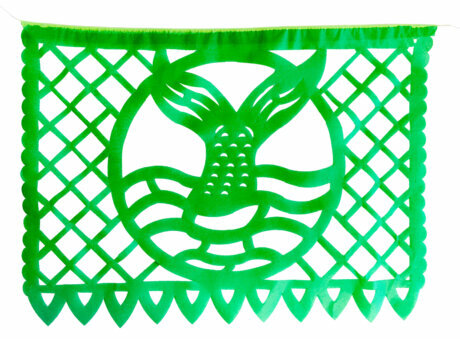 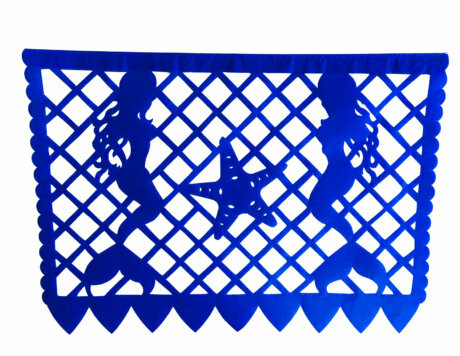 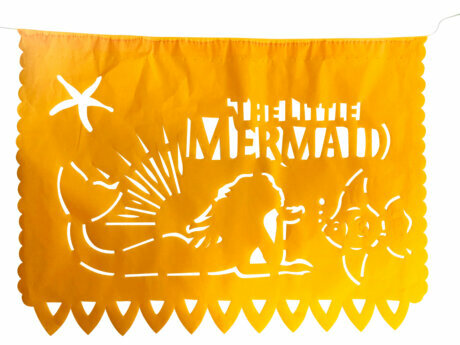 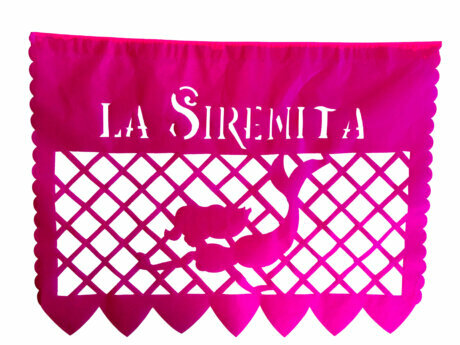 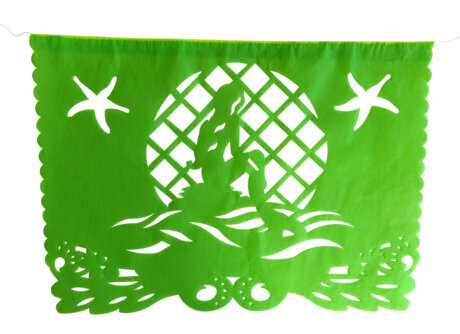 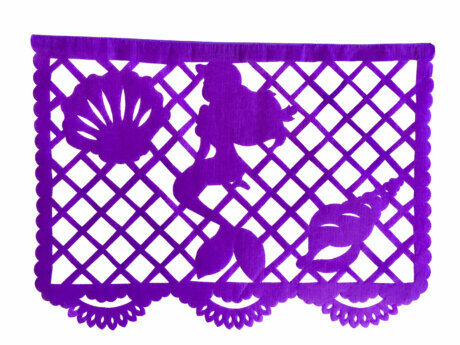 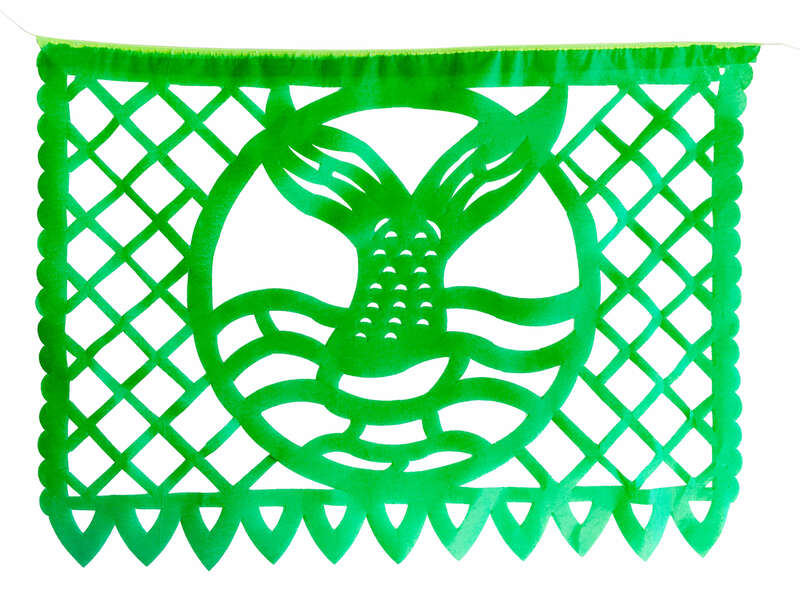 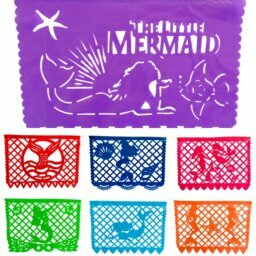 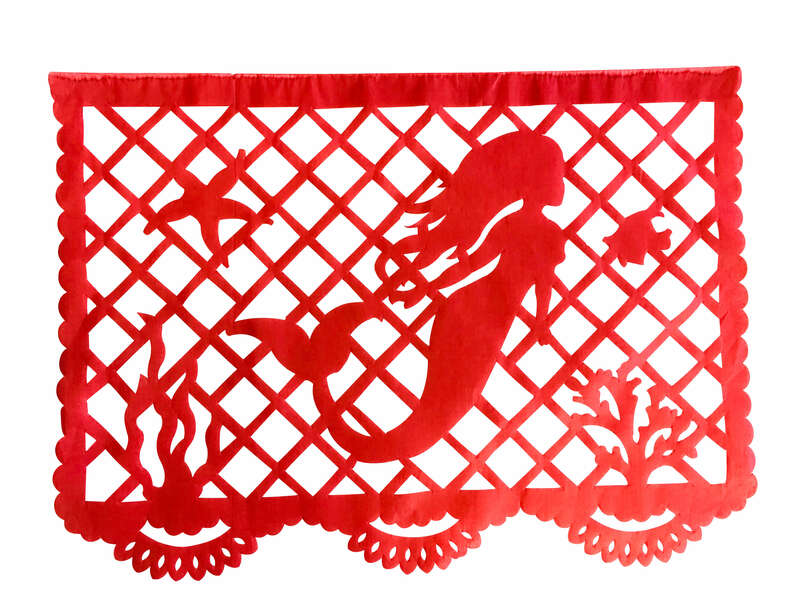 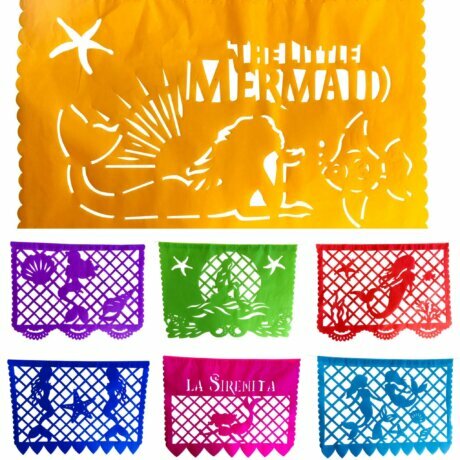 Actual Quotes From Customers: “Beautiful and fit perfectly into my Little Mermaid theme” “Great quality” “WONDERFUL” “They are so colorful!” “Beautiful just like the movie” So make your La Sirena and Little Mermaid parties, Spring festivals and Cinco de Mayo celebrations even more festive with TWO strings of gorgeous banners! 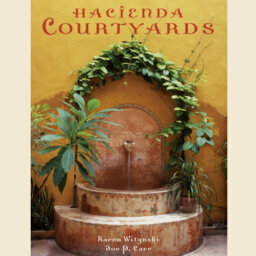 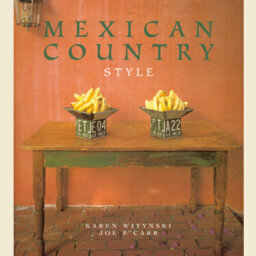 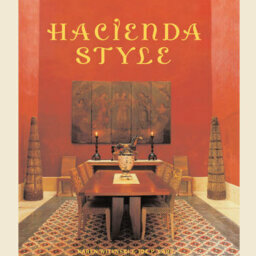 Made exclusively for TexMex Fun Stuff!